The Meadows Foundation Welcomes You! ATTENTION – Sinterklaas 2018 has been CANCELLED. We apologize for any inconvenience. We are working diligently towards Sinterklaas in 2019. We hope to see you then! We have added many new and exciting events and information to our pages. Check out our calendar and Upcoming Events page for details on our free Museum House open houses, Paranormal Nights, Franklin Day Festival, Catherine the Great, Jeannette Pickering Rankin, genealogy and more! If you have a suggestion for an event, please let us know at tmf.org.1289@gmail.com. 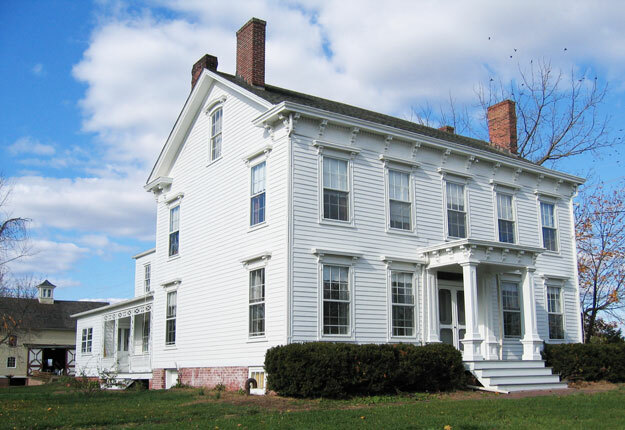 The Meadows Foundation was formed to save one early Dutch farmhouse. In 1976 the vacant Van Wickle House was in danger of being torn down to build a strip mall. Franklin resident Dr. Bruce Hamilton, as member of the Planning Board, learned about this. 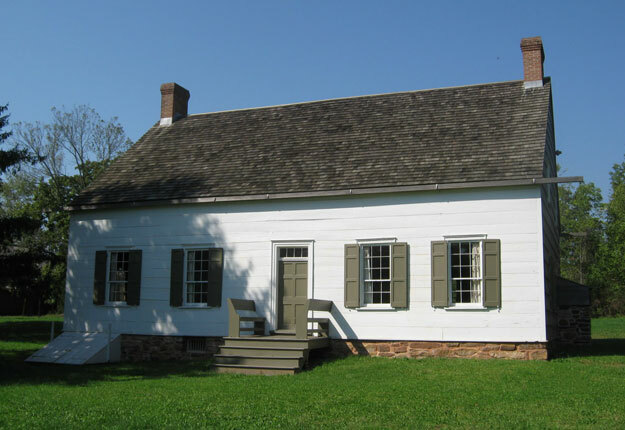 A professor at Rutgers’ Cook College, his field was landscape architecture and he had done some work for the Bogan family that had lived at the Van Wickle House. The Bogan family had purchased the property in the early 1930s but by the early 1970s the family was gone. The house was now vacant, so Dr. Hamilton and others held some open-house weekends for people to see the house and property. Bruce Hamilton and others persuaded the Township to get involved. Consequently, we started a public subscription program to raise community funds. Within a year we had raised half the cost of the house and the Township had applied for a Green Acres grant for the other half. In 1977, The Meadows Foundation was born and we became the Steward of the Van Wickle house. We took our name from the meadow on the Bogan property. Originally, there was no intent to acquire other historic Dutch properties. However, members of our first board had families or friends that had been living on South Middlebush Road on land that had been appropriated for a New Jersey water reservoir. It was subsequently determined that the land was unsuitable for a reservoir. They were concerned about the vandalism that was taking place on these now-vacant farms, which are now part of the Six Mile Run Historic District. During the 1980s we saved three more historic Dutch farm properties. The Van Wickle House had been lived in just before we acquired it and it was in good shape. 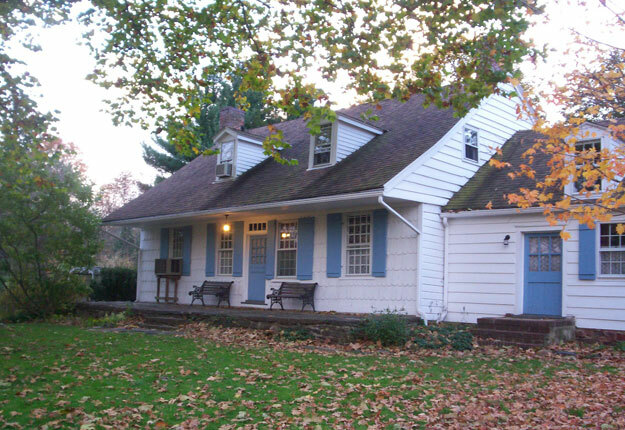 During the 1980s we had no grant funding source except for the New Jersey Historic Trust. They require a matching grant. We had to have a dollar to get a dollar from them. We had no grant sources then as we do now. In l998 we started receiving grant funds from Somerset County. We received a $750,000 matching grant from the New Jersey Historic Trust in 2004 because we then had matching funds from Somerset County. As of 2015 we have written 26 grants and raised $3,055,245.00 to restore these properties. Each house is distinct in its architecture and place in history, ranging from c.1722 through 1875. The earliest structure, Van Wickle farm, was located along the Raritan River, which once served as the transportation highway into the fertile farmland. 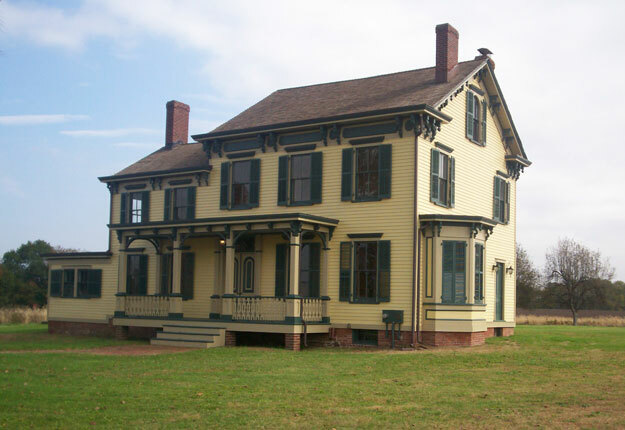 The Van Wickle house faces the Raritan River and Delaware & Raritan Canal. Franklin Township is bordered by the Delaware & Raritan Canal, which was built in the early 1830s. The Meadows Foundation volunteers believe in the value of saving our nation’s past and serve as stewards of these priceless historic homes. All the properties are listed on the state and national historic registers. You are invited to learn more about each property by clicking on “Houses.” They are an important part of Franklin Township’s past and its identity today. We preserve these homes and provide programming so that you, and our entire community, can enjoy, understand and treasure these properties for generations to come.